In our consulting practice we often talk with salespeople who are frustrated because a proposal they have in front of a prospect seems to be going nowhere. Typically, the prospect has said positive things about the plans in the proposal and seems to indicate they have interest in implementing the plan at some point, but still the decision wallows and there’s no sale. So how does one best deal with this scenario? 1. 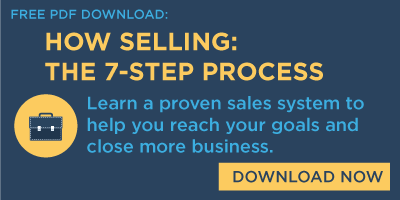 Make sure the needs you uncovered in the sales process are important enough and well defined enough to prompt the prospect to act to address them. Even if you responded to an RFP, you should have been able to delve deeper, beyond the headlines they provided, to uncover what it is they are really eager to address. For example, a company recently sent us an RFP to help them screen more effectively for sales talent. But when we went deeper, the real problems that prompted their interest were a sales staff turnover issue along with new needs created by a revamped sales structure. We can help with those needs in a big way and the prospect wanted that help. Companies only buy when there is trouble (something that must change) or growth potential (an unrealized opportunity they really want to address that is driving them nuts). Do you have that information? Are you sure? Was the need you uncovered big enough and urgent enough to get them to pay attention to your proposal? 2. Examine the solution you brought them. Is it a tailored solution that zeroes right in on needs you identified, or is it a bit generic? Could any of your competitors have delivered a similar proposal? If so, your solution may look like another off-the-shelf response. 3. Make sure you have all your bases covered. Most sales these days are complex in that they involve more than one decision-influencer. Is there a decision-influencer you haven’t covered, someone who is holding up the decision? You need to find who that is and what role they play. Until that person (or people—there might be several) is convinced that your proposal is what the company needs, they will hold it up. 4. Add some urgency to what you propose. Try including a deadline – not something you make up, but something about your idea (or their situation) that really is time-bound. Are there elements of your proposal that cannot be delivered after a particular date? Does the offer expire? Do the terms change after a certain period of time? Think about the variable elements that are, or could be, time-bound. 5. If things lag too long, give the prospect a new decision to consider. Look for a way to change the decision that’s on the table. Add something new or additional to your plan, something they haven’t seen before, a reason to look at the proposal with fresh eyes or under a new light. If the old decision is lagging, give them a new decision to make. In professional sales we’d all love to see things move on a predictable timeline, but they don’t always. Look at a lagging prospect you are working with now and consider the five actions above. I bet you will find a way to get them off the dime!